In many parts of the country, snow is already coming down by mid-to-late fall, and it’s important to be prepared. Part of smart preparation includes knowing how you’re going to get from point A to point B, even if the white stuff is coming down in sheets. Wintertime driving requires a car’s safety features to perform at their best. In particular, the Northeast, Midwest, and Rocky Mountain regions require cars and trucks that can handle extreme climactic conditions. If you live in a snowy area, make sure you take the weather into account as you shop for cars. For drivers in areas that get a lot of snow, certain safety features are invaluable and can save lives. One such feature is four-wheel or all-wheel drive, which distributes even power to all four wheels and helps drivers navigate safely on icy roads. 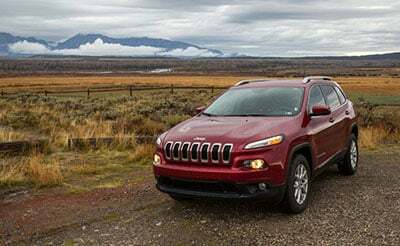 It’s up to you as far as whether four-wheel drive or all-wheel drive is best. The former is a robust option for if you’re planning to drive off-road on a regular basis, while the latter makes more sense for the rest of the population. Tires are another critical safety feature and can be one of the most important items installed before winter. Winter tires are created with snow and ice in mind. If you don’t live in an area that gets a lot of snow, you may not want to keep a set of winter tires on hand in the garage, but you should still invest in high-quality all-season tires to ensure proper traction and grip. Finally, no matter what your budget, make sure your next car contains anti-lock brakes for optimum winter driving safety. Traditional brake systems will lock tires in icy conditions, causing the vehicle to skid. Anti-lock technology, on the other hand, quickly pumps the brakes, preventing them from locking up, no matter what the road’s conditions may be. The best cars for snow maximize traction and offer full driver control, no matter the road conditions. Your needs will differ depending on whether you’re an off-road motorist or a city driver. Consider the following vehicles, all of which have excellent safety features for winter driving. According to Autobytel, 2015 Subaru WRX STI comes from a long line of cars designed to tackle snow head-on. Its all-wheel drive system also includes the Subaru Driver-Controlled Center Differential, which allows drivers to customize acceleration speed in both front and rear wheels. If you’d like, you can set it to an even 50/50 split. This car is best suited for drivers who know how to use a stick. It uses a six-speed manual transition. The buyer can also opt in to features like high quality Brembo brand brakes and upgraded suspension tuning. The Jeep Grand Cherokee is a classic for tackling snowy weather, and according to the Jeep Blog, the 2012 Grand Cherokee’s safety features are the ones to beat. Like the Subaru WRX STI, the Grand Cherokee provides 50-50 front/rear wheel acceleration split when set to the snow setting. Its adaptive cruise control function automatically adjusts cruising speed, allowing you to keep your distance from cars ahead – a huge benefit in icy weather. It’s also equipped with safety features like anti-lock brakes and forward collision warning, a technology designed to sense road hazards and alert you to unexpected obstructions in the road. Other features include headlights with Smartbeam technology that shine up to three times brighter than regular headlamps. The lights adjust automatically, so they shine where you need it – on the road – rather than into the eyes of other drivers. It also provides optimum visibility with rain-sensing wipers that detect moisture and activate on their own. For drivers who want an alternative to a four-wheel drive SUV or truck, the 2015 Audi A4 is a sedan with optional Quattro all-wheel drive, which you can choose whether you order six-speed manual or eight-speed automatic transmission. 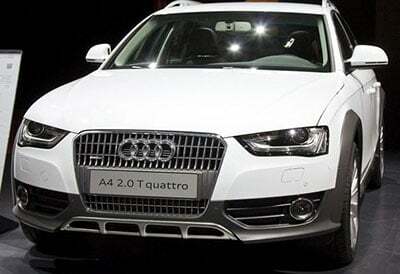 Created and perfected by Audi, the Quattro system has a 40-60 front-rear torque split. Because the rear accelerates more quickly, the system takes advantage of the natural way the car transfers weight to the rear axle as it starts up. All these technicalities essentially boil down to excellent traction, which – when combined with good winter tires – is a huge benefit in the ice and snow. For winter driving, the Audi is a great alternative to a luxury SUV, with far better mileage to boot. The 2014 Land Rover V8 features massive horsepower with an eight-speed automatic transmission. If you need to drive beyond the streets in town, the Land Rover’s Terrain Response system adjusts engine, four-wheel drive, and transmission for various surfaces – grass, gravel, snow, sand, mud, and rocks. The Land Rover also has Hill Descent Control technology to help slow it down on steep inclines. Both in its interior mechanisms and in its physical design, the Land Rover is perfectly suited for driving in rough terrain. The wide flat hood allows the driver to see all corners of the vehicle, which is a benefit off the road and within city limits. The leather-lined interior also features automatic climate control. 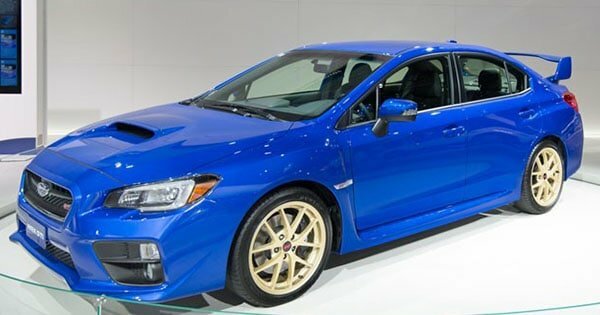 Subaru started off this list; as a brand with a serious reputation, it’s only fitting that it should end it too. The 2015 Subaru Forester is a favorite among northerners due to its tall roof and standard all-wheel drive system, which all but obliterates mud, rain, and snow as well as (or better than) any rugged SUV system. Choose between the base model and the supercharged 2-liter XT. You can also choose between six-speed manual and the high-tech, single-speed automatic transmission. Would you buy a car without knowing what it’s going to cost to insure? Probably not. It makes just as little sense to sign up for an auto insurance plan without comparing prices. But with so many insurance companies to choose from, all with different rates and benefits, it can be hard to make the right decision. Remember, though: You only need one really good offer to save money on car insurance in the long term. At compare.com, we work directly with insurance companies to get you the best possible rate on car insurance. Use our free comparison tool to see how different auto insurance rates stack up.